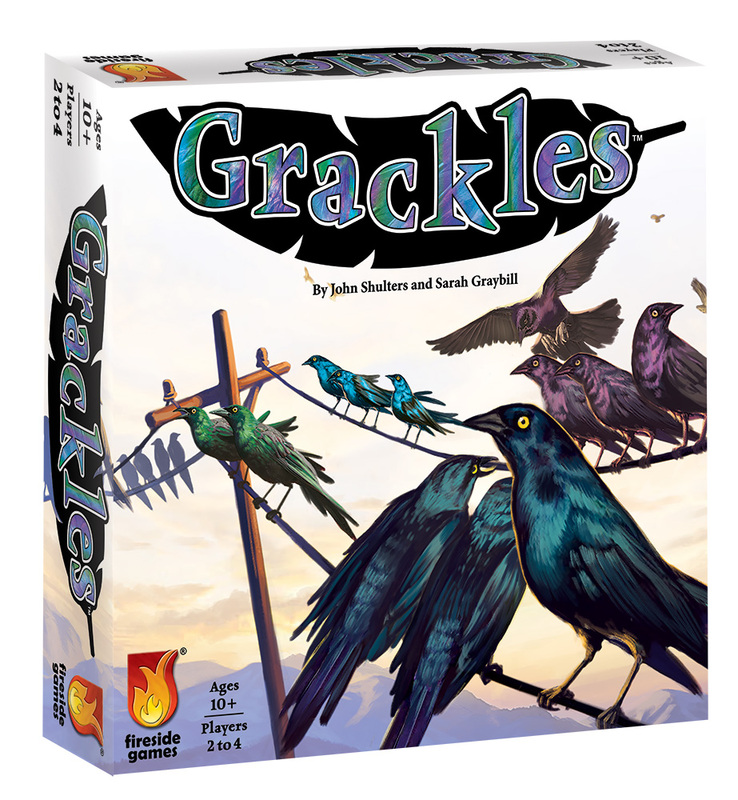 Grackles are noisy, iridescent birds that love to gather on telephone wires at sunset throughout the southwestern United States. In this lightly themed abstract strategy game, you’ll line up as many of your birds on the telephone wire to score as many points as possible. 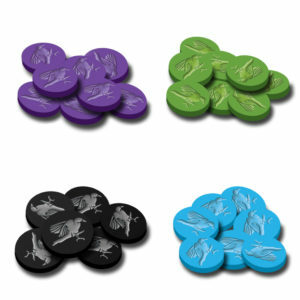 Each turn, players choose between drawing and placing a tile, connecting 2 spots on the telephone wire with their birds, extending a line of birds, or rotating an empty tile. After the board has been built to 5 tiles by 5 tiles and all available pairs of spots on the telephone wire have birds on them, the player with the most birds on the telephone wire is the winner.